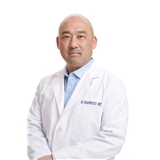 Nathan Hashimoto, MD (Los Angeles) - Book Appointment Online! Dr. Hashimoto is very professional. He asked me questions and explained everything. He did not seem to be in a hurry to get me out of the office. Additionally the nurses were very good.